Out of the darkness, comes the crackle of lightning bolts crashing into the night from each of the two towers. 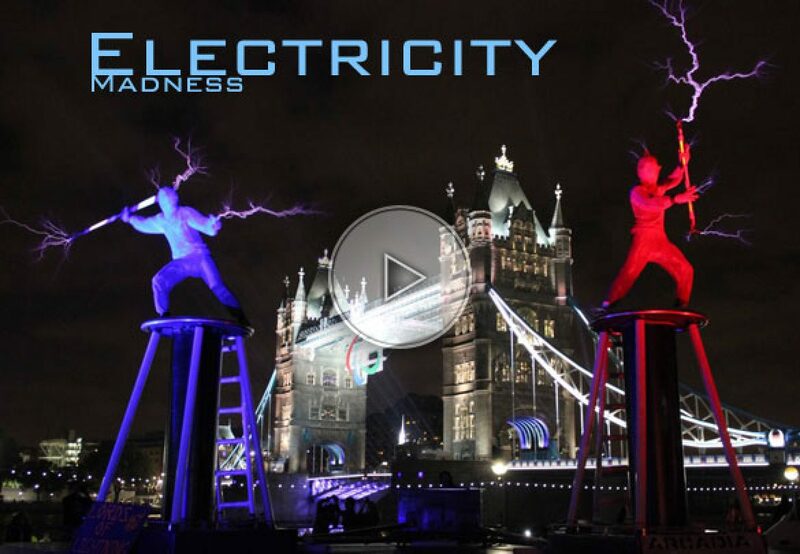 Two artists, dressed in metal suits enter the stage area and interact with the power of the electricity. Then start a crazy and unseen show.